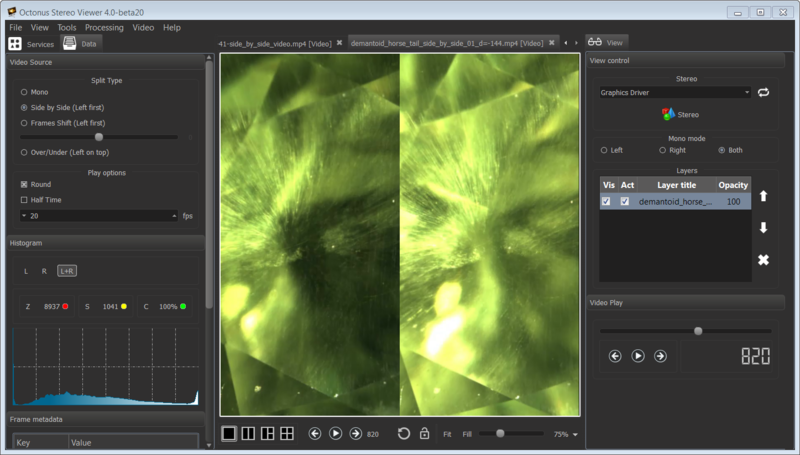 Octonus Stereo Viewer is free software which allows to view movies and stereo movies in different formats, including series of images. It supports a rich set of stereo viewing technology, from red-blue glasses, to NVIDIA 3D Vision and modern 3D TV technology. Red-blue glasses, interlaced polalized monitor and TV, NVIDIA 3D Vision, LG & Samsung TV stereo techology, anamorphic stereo, etc. 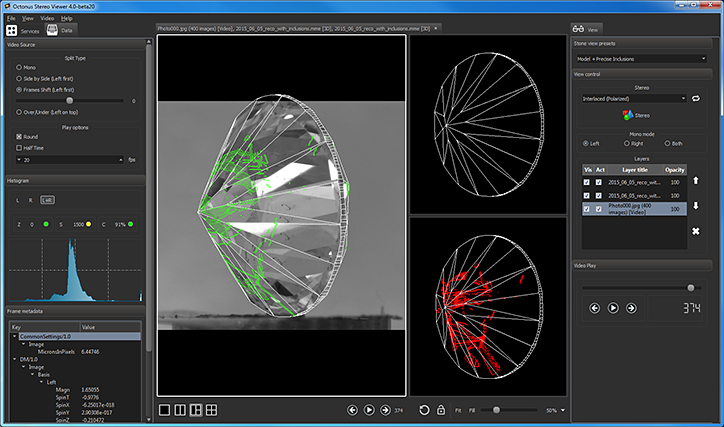 Stereo viewer includes cooperative mode plugin, which allows team work on any content by means of cloud technology. October 8, 2015 - Stereo Viewer 4.0.4 is released.